Piggybacking off of my last blush inspired outfit post (here), I must say that my blush obsession is getting a little out of hand! I have since added more blush toned items to my wishlist! 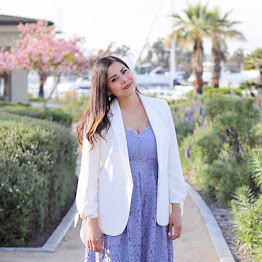 I'm a sucker for girly pastels and with Spring around the corner I consider this restocking the closet with some Spring essentials.... and some irresistible pieces like the ones I'm featuring below! Don't forget to enter my "Hello Spring" Giveaway valued at over $100 here! Ends at midnight! Everything is so pretty! I just love that clutch. What a stunning piece. Lovely nail colour & earrings!